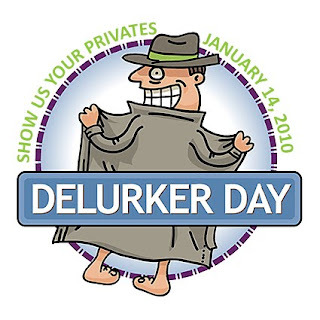 Hey there - today is a special day just for you who like to watch and look but never comment (or rarely?,) you're called a Lurker. And today is the day that YOU comment! Rude Cactus came up with this idea, and Aimee at greeblemonkey made this graphic. Its super easy to comment, no word verification and you can sign in anonymously - so please introduce yourself just to say Hi! I promise I won't bite. And a photo - this is my husband, a couple days after Christmas we had a string of beautiful sunny days and we took lots of walks. 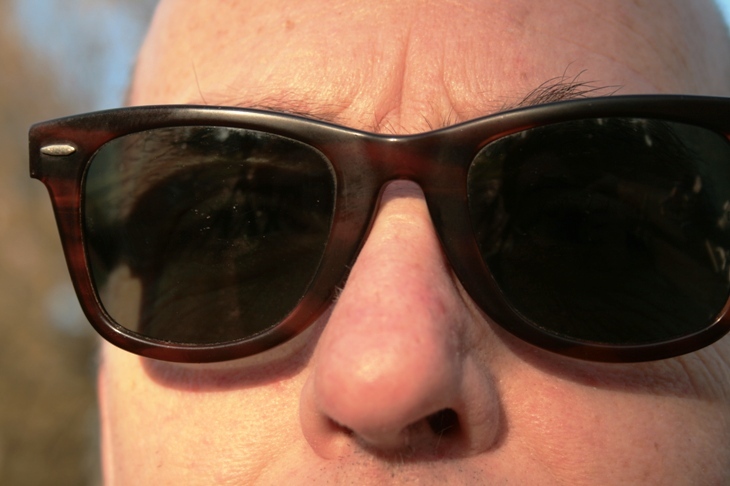 I love these Wayfarers. I may be a lurker, but I have never owned one of those raincoats! What Do You Call This One?